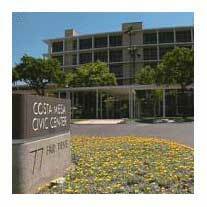 The Costa Mesa City Council will hold a regularly-scheduled meeting Tuesday, July 17, 2012 in Council Chambers at City Hall beginning at 6:30 p.m. 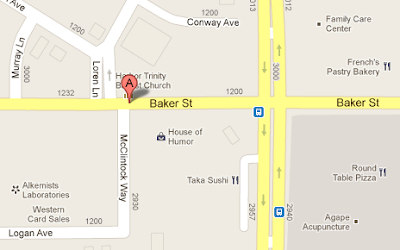 It will be preceded by a Closed Session at 5:00. You can read the entire agenda, including the details of the Closed Session, HERE. Under ordinary circumstances I'd try to just wade through the agenda, giving you links as they appear in order and offering my observations. Today there is an issue on the agenda near the end that requires star billing. This is New Business #4, Mayor Eric Bever's attempt to quash the appeal process that has served this community well for decades. You can read that staff report HERE. Presently, if a party presents an issue before the Planning Commission or the Parks and Recreation Commission and is rejected it can be appealed to the City Council within 7 days. That happens one of two ways - the appellant pays the fees (perhaps several hundred dollars) and files the appeal. Or, the appellant could receive assistance from ONE council member, who would - using his or her authority - bring the item before the council for its consideration and no fees would be charged. However, Bever doesn't like that very much. He apparently thinks that Wendy Leece - you know, that council member who represents ALL the people of this city - abuses that authority, so he wants to cut her off at the knees and change the municipal ordinance to require TWO council members to approve such an appeal. And, since she has virtually NO support from the four male members of the council, that means that those folks who find a need to appeal an issue will have to pay MORE money to do so. So, Joe Blow who has already spent several thousands of dollars on plans and fees to renovate his Westside home, but has it rejected by the Planning Commission, will now have to find TWO sympathetic council members or end up paying even more money to appeal the decision. In addition to this being a flat-out slap at Leece personally, it creates a process with almost guaranteed Brown Act violations built-in. Say, for example, Joe Blow contacts Bever about an appeal. Bever agrees, then makes contact with Jim Righeimer seeking his "second", who declines. If Bever then contacts Gary Monahan on this issue we have an automatic Brown Act violation - a "serial conversation" on an issue that will come before them. This is an unnecessary, capricious and mean-spirited move that certainly will not serve the public well. Whether Bever "signed up for this" or not, he should withdraw it from the agenda and chalk it up as just another of his many boneheaded moves. He should find another issue to be his legacy - not quashed public participation. Now, on to the rest of the agenda for Tuesday. The aforementioned Closed Session has three items on it - labor negotiations, conference with legal council in anticipation of significant litigation (sound familiar) and a request by a Public Employee for a special leave of absence. We'll never know about this stuff until it actually hits the fan. As always, the Consent Calendar is filled with little goodies just waiting to be discovered. These items are theoretically things that can be voted upon in one vote, without separate discussion. Lately, though, many items have been pulled by council members and members of the public for separate discussion, explanation and vote. For example, there are two more Warrants on this agenda, #2428 and #2429. Click on those numbers to read them, if you wish. #2428 contains a couple interesting legal payments. One, to our contract City Attorney firm, Jones and Mayer, is for $111,170.64, which means we've spent more than $775,000 on that legal firm alone in the last fiscal year - with another month to go. There's also a payment of $14,425.49 to Liebert Cassidy Whitmore, which means we've paid them more than $46,000 since March, when they began "helping" us with labor negotiations. On #2429 there's a very interesting entry - a payment of $25,000 to Talon Executive Services for "IT Consulting". I sure wonder what that was all about and whether the recent departure of former IT Manager Rick Kirkbride, whose position was canceled as part of the recent budget approval process, was somehow involved. 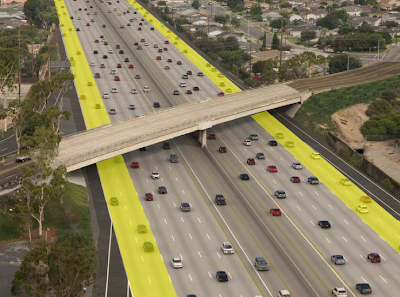 Down at #5 is an interesting item - Traffic Mitigation Agreement with Newport Banning Ranch, LLC. As you read the staff report, HERE, you'll see that this is an agreement that facilitates The City of Costa Mesa being paid more than $4 million by the proposed developers to mitigate traffic impacts on our city as the project is built. Funny, you'd have thought somebody on the council might want to let the voters know that they were looking out for their interests in this election year. Late tonight, Saturday, the folks at the Banning Ranch Conservancy fired off a misleading email about this item, neglecting to mention that the City of Costa Mesa has NO authority to interfere with this project and that the agreement, if signed, provides for funding of improvements necessary to handle the 15,000 cars per day that are expected to pour onto Costa Mesa streets. The final item on the Consent Calendar, #8, is a resolution to raise the pay of Police Reserve Officers. You can read about it HERE. Part of the scheme by this council majority is to more fully staff the Costa Mesa Police Department with Reserve Officers - those who don't get any benefits, including those nasty pensions. To do so they've decided to raise the hourly rate by just under $6.00 per hour, to $33.00 per hour. There is only one public hearing scheduled, a resolution certifying special assessments for collection of delinquent civil fines for municipal code violations. The staff report, HERE, includes a list of all those violators who will have action taken against them for non-compliance. The only Old Business item is the second reading of the new ordinance against locking up your bicycles to posts, poles and any other "non-bike rack" fixture, and it outlines the fees that will be charged, HERE. I scoured the ordinance and didn't find anything about the disposition of impounded bikes that are not claimed. One must assume that, after a specified period of time, those bikes would be disposed of - auctioned off or crushed as scrap. This item, which was initiated to discourage homeless folks from leaving their bicycles chained to fixtures all over town, but particularly in Lions Park, will very likely become an unpleasant fact of life for those who ride their bikes to public parks - where there are woefully insufficient bike racks - and to other public and private locations that also lack the approved devices for securing their bikes. It feels pretty heavy-handed to me, particularly in a city that appears to be trying to encourage bicycle use. There are 5 items under New Business. I've already dispatched with #4, Bever's bonehead move, above. Item #1 Steve Mensinger's scheme to have an annual performance audit. This item, HERE, describes how that should work. Item #2 is a plan to waive fees for a "Go Green Program", for solar systems and electric automobile charging sites. You can read about it HERE. Item #3 is the Request for Proposals for the Telecommunication Technical Services. The staff report, HERE, recommends simply receiving and filing and continue to attempt to partner-up with another municipality. We'll see how that goes Tuesday. The final item on the agenda is the discussion of possibly placing an increase in the Business License Tax on the November ballot. You can read the staff report HERE. As almost everyone who pays the slightest bit of attention knows, Costa Mesa has an abysmally low Business License Tax, ranging from "0" to $200 dollars for the maximum charge. To say this is "business friendly" is beyond laughable. Our tax, which brings in about $850,000 annually, has not changed since 1985, for goodness sake. The original staff report at the study session last week had a couple proposals, designed as starting places for discussion. However, the council - apparently pre-occupied with the Charter Public Hearing that immediately followed the study session - didn't take the bait. Instead of tinkering with the numbers Finance and Information Technology Director Bobby Young presented them, they sent the Finance staff back to the drawing boards. One of the proposals put a minimum amount of $50.00 per year and stretched all the way to $10,000 per year and would have theoretically generated a potential INCREASE in revenue of $2.7 million. Those numbers were too severe for the council. The council could have simply said to double or triple the existing fee structure - I seriously doubt ANY business owner would have balked. The staff report includes a very thorough analysis prepared by a consulting firm. 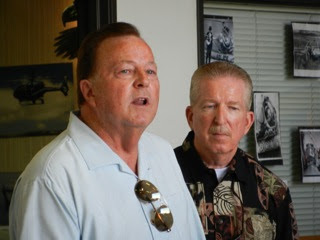 However, the staff did NOT have time to do what Mayor Pro Tem Jim Righeimer asked them to do - return Tuesday with a proposal to calculate our Business License Tax on a per-employee basis, as Newport Beach does. The staff suggests that if the council isn't able to arrive at a good solution with the data available to them right now, then perhaps the thought of putting this issue on the November ballot should be abandoned so a more thorough study can be done between now and 2014 - the next time it could be placed on the ballot. Actually, that would take those lock-step "NO TAX" lemmings off the hook. They can tell their handlers at the OC GOP that they didn't propose any new taxes, and - for the voters - blame it on insufficient staff work. It will be the staff's fault that we don't have more revenue. Ya gotta love it. Tuesday promises to be a long, and potentially raucous meeting. Business leaders have said they will fill the house with unhappy business owners to address the Business License Tax issue. Hope they bring a pillow, since it's the final item on the agenda. We'll attend and report back next week. 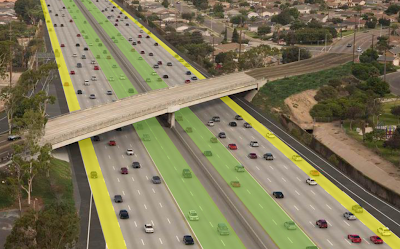 Although it's kind of slipped out of sight recently, the deadline for presenting comments to the Orange County Transportation Authority (OCTA) on their plans to widen that artery from the 73 Toll Road to the 605 Freeway is rapidly approaching. All comments must be received by Tuesday, July 17th! Please see my last entry for more details, HERE. As we've discussed many times before, the LEAST desirable choice of the three options presented to us is Alternative #3, which will require the demolition and replacement of the new Fairview Street bridge to accommodate the High Occupancy Toll lanes planned in that option. Costa Mesans gain nothing, zero, zip, nada, from that choice and should oppose it strongly. The better option is Alternate #2 and we should all make our views known to the OCTA Board on this subject. The Regional Planning and Highways Committee of the OCTA will discuss the options at a meeting at OCTA Headquarters on August 6th. The full board will make a recommendation of a preferred alternative a week later. NOW is the time to make your views known. After several false starts, last week I was finally able to spend some time with recently-announced Costa Mesa City Council candidate John Stephens at his offices in Newport Beach. We met after hours so the normal hub-bub of a busy law office wouldn't distract either of us from our conversation. 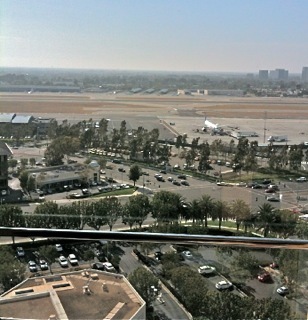 His office looks out across John Wayne Airport toward Costa Mesa. As most now know, Stephens is one of 9 announced candidates for one of the three seats on the Costa Mesa City Council being contested in November. It is widely assumed that this will be a nasty race - a "us versus them" battle, with the OC GOP-supported slate of incumbents Steve Mensinger, Gary Monahan and Planning Commission Chairman Colin McCarthy being challenged by six others so far. I know quite a bit about most of the other candidates, having seen them in action before the council or through private conversations with them. All I knew about John Stephens was that he joined former councilwoman Katrina Foley in a legal challenge to keep Jim Righeimer's Charter off the June ballot when a clerical error caused the filing deadline to be missed. They were successful in that challenge, which they mounted on their own, without compensation from anyone. I also knew a little about him from things he's written for local publication recently and from the times he's stepped to the speaker's podium to deliver an opinion to the council. You can read Stephens' assessment of himself at his web site, HERE. That will give you the nuts and bolts of his very significant background in Costa Mesa for the past two decades. You'll find references to his professional accomplishments, his education and his family. You'll also find information about his activities with youth sports which, in some circles, seems to be all one needs these days to become a candidate for city council. WILL HE HAVE THE TIME? One of the concerns I always have about folks who think they want to run for city council is whether they've really thought this through. I always wonder if they will be able to carve out enough time to do justice to the job. Yes, it's a part-time job, but anyone watching council members in action realizes that very few only spend 20 or so hours each week fulfilling the responsibilities of the assignment. Stephens has that issue resolved - if elected he will give up some of his other community activities to make time for his council responsibilities. It is unlikely that Stephens would be running for office if he was happy with the direction the city was headed. He shares that concern with many other folks in the city - and most of the other candidates for council. I'm not going to put words in his mouth on this issue. As the campaign season moves forward and we progress to candidate forums we all will be able to hear his reasons and goals in person. Stephens has become affiliated with the grass-roots organization, Costa Mesans For Responsible Government, HERE. Some of the opposition will attempt to use that as a negative element during the campaign. This campaign is going to evolve as the "us" - the OC GOP-sponsored group - versus "them" - everybody that's not "us". Well, CM4RG is a group of diverse individuals from all political stripes who share a common bond of concern for what is clearly a take-over of our city by extremists from the far right - my Republican Party. I didn't ask Stephens his party affiliation because it's irrelevant - these seats are supposed to be non-partisan. WILL I VOTE FOR HIM? 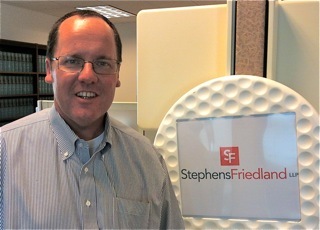 Will I vote for John Stephens in November? Maybe. I like what I heard from him and will pay close attention to how he handles himself during the campaign. 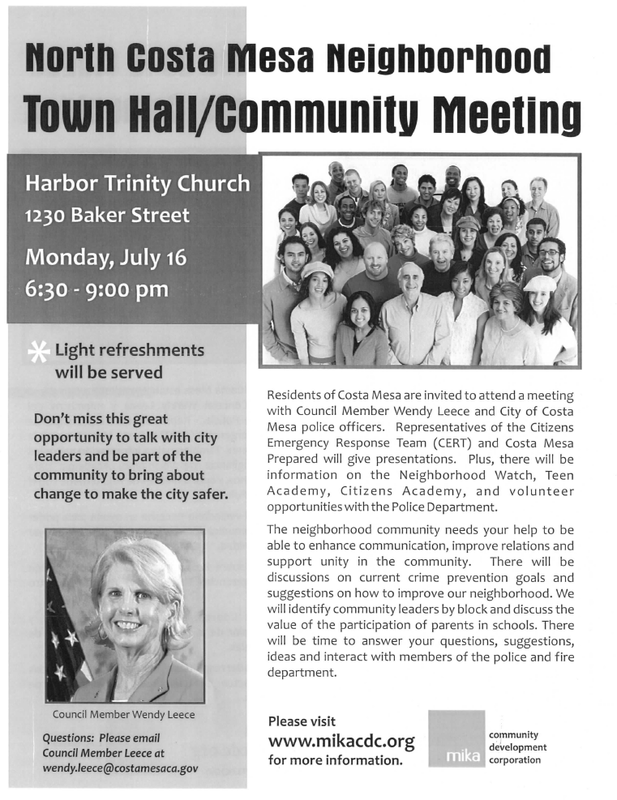 I'm REALLY looking forward to the candidate forums because they will test each candidates knowledge of critical city issues and flush-out their solutions to some of the very significant problems we face. 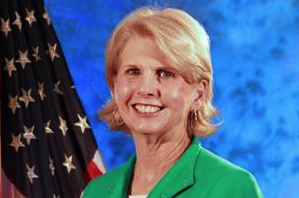 It is with a heavy heart that I report to you today that my friend, Costa Mesa City Clerk Julie Folcik, tendered her voluntary resignation today, effective today - Friday the 13th. At no time during the three months since CEO Tom Hatch placed her on paid administrative leave in the wake of the City having missed the filing deadline for Jim Righeimer's Charter did she ever discuss the circumstances of that event with me. Through it all she maintained professional composure and a positive attitude. In a private message to me this afternoon Julie expressed sadness for leaving the position she's held for more than a decade and that she's grateful to all her friends at City Hall for their kindness, support and encouragement during her tenure. 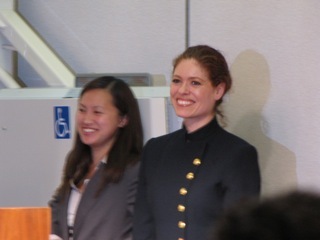 She's shown above with her former co-worker, Christine Cordon. She gave me no indication what her future plans might be. I certainly want to wish her well. Seen Huntington Beach Helicopters Lately? If you're a municipal fire chief would you send your entire staff and all their equipment 500 miles away to a conference at the same time? Of course not! If you're a police chief would you send your entire force, including all their cars, motorcycles and other specialized equipment to a workshop in another state at the same time? Of course not! HUNTINGTON BEACH CHOPPERS ALL IN RENO! 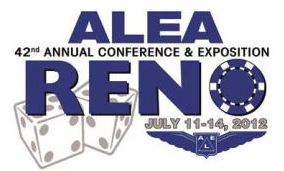 OK, how then, do we explain the fact that the entire Huntington Beach helicopter program - all three choppers and all their pilots - have decamped to Reno, Nevada for the Airborne Law Enforcement Conference this week? Read about it HERE. 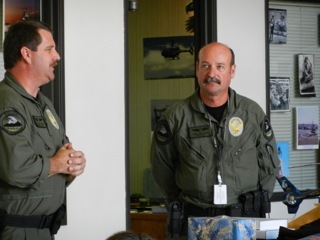 That's right - the whole shebang flew their choppers 500 miles away, apparently leaving their home city and contract cities - Costa Mesa and Newport Beach - to be covered by Anaheim and/or the Orange County Sheriff's Department. A friend alerted me to this bizarre situation late last night - too late to do any follow-up with officials in Costa Mesa, Newport Beach and Huntington Beach. 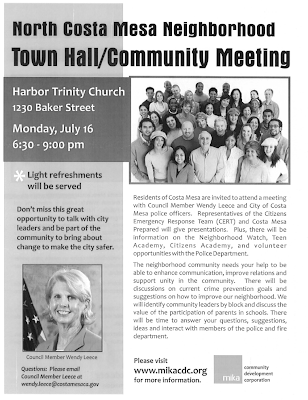 I did send an email to Chief Tom Gazsi last night, though, and he replied that he'd seen a communication from Huntington Beach that their choppers would not be available until next Monday. Apparently the Orange County Sheriff's Department and Anaheim would provide coverage. 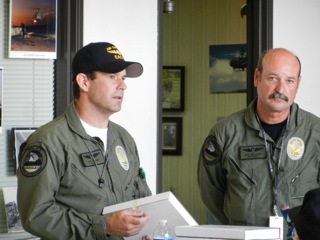 Police personnel in Newport Beach also confirmed that the Huntington Beach helicopters were not presently available, and that they would be contacting other agencies for help if necessary. I tried to contact officials in Huntington Beach about this situation, but, being Friday, had a hard time finding anyone in charge that could respond to the question. Finally I was connected with a captain in the Police Department. When I asked him about this report he replied, "Definitely not! ", and took offense that I would put any credence to such an unsubstantiated rumor. 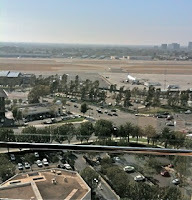 He said, "They're all over at the heliport!" We talked awhile, then he said he'd check this out and get back to me, which he did within a few minutes. That call was very different. He confirmed that the entire helicopter staff had flown their choppers to Reno for the conference. 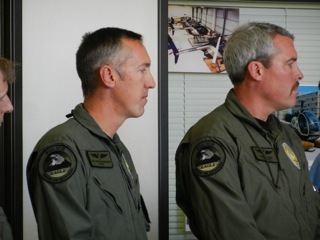 He told me that McDonald Douglas paid for one chopper to go as a marketing effort to sell more of their helicopters and that the others flew up to Reno so the pilots could get "cross-country time". 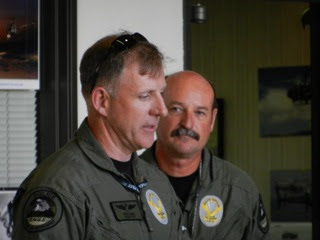 He apologized to me for his earlier hostile response, stating that he just couldn't imagine all the pilots and all the equipment flying off to Reno at the same time. Hmmm, neither could I. Having flown helicopters in the military myself, I understand the interest in getting "cross-country time" under your belt. 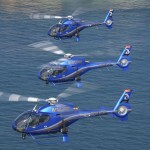 In the normal course of patrolling locally the opportunity for such flights would be few and far between. Once you're licensed it's not required, but is helpful to keep your skills up. I don't have a problem with that. Nor do I have a problem with pilots attending that conference. What I DO have a problem with is the entire crew ALL attending at the same time, leaving their area of responsibility for other entities to TRY to cover! POTENTIAL PUBLIC SAFETY IMPACT IS HUGE! Beyond being a truly strange management decision, the potential impact on local public safety is enormous! They will be gone through this entire weekend - a time when the Orange County Fair opens with what is expected to be record crowds AND both Newport Beach and Huntington Beach are expecting large beach crowds, too. OK, and before you jump all over me for implying that the absence of Huntington Beach helicopters is costing us money, I know that we only pay them for the actual hours we use. That's not the question. The question is one of professional responsibility and what certainly seems to be a major lapse in management judgment on the part of those in charge over on the other side of the Santa Ana River. WHAT DOES OUR CONTRACT REQUIRE? I don't know if the terms of the contract Costa Mesa has with Huntington Beach require a certain level of availability or not. I imagine there is an expectation of a minimum level of coverage somewhere in it - maybe not. I've spoken with former A.B.L.E. members who tell me that this conference is a very valuable training experience, but they NEVER sent the entire organization at the same time. 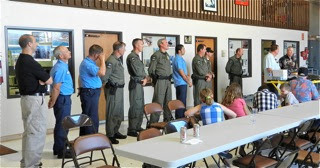 Usually one flight crew and a supervisor would attend, then share the knowledge acquired with the remainder of the organization. And, they NEVER flew A.B.L.E. choppers to these events - they flew commercial airlines.